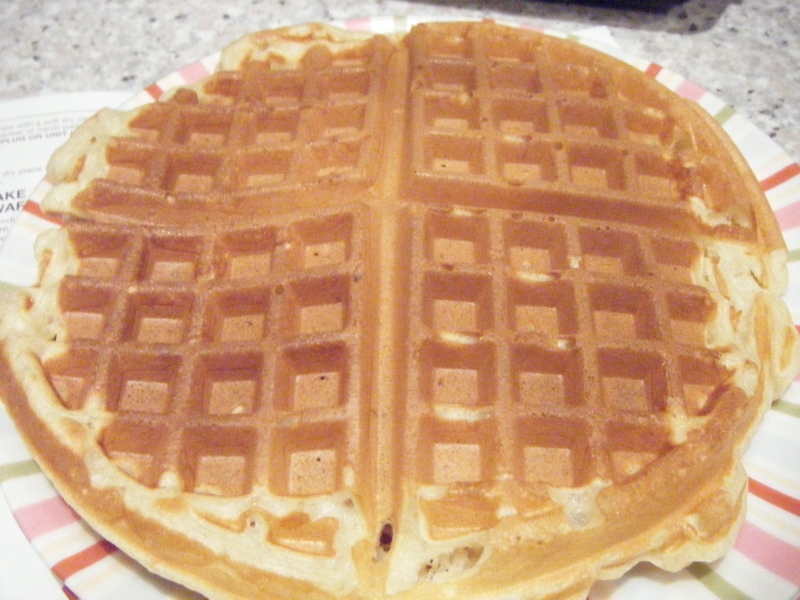 Oh waffle maker, how did I survive so long without you? For years I boycotted Max Brenner. After they introduced their sneaky work choices contracts to cut overtime, holiday pay etc I felt like every cup of hot chocolate was tainted with the sweat of their poor workers. Now however, with the dismantling of work choices, I thought that I might lift the ban and venture in for some chocolatey goodness. After a few heavenly bites of waffle with melted chocolate, the mothership and I reached the same conclusion. We needed to buy a waffle maker. Finally! 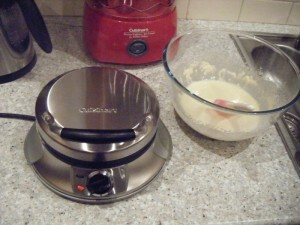 We found a Cuisinart electric waffle maker in David Jones Miranda. I own a great deal of kitchen gadgets and gizmos, but far out this is the best gadget I have ever bought! The machine is non-stick and all you have to do is close the lid and when it is heated up to the correct temperature this little baby will let out a loud BEEP! to let you know it’s ready for cookin’. But the amazingness doesn’t stop there. When you pour the batter in and close the lid, the machine will let out another BEEP! to let you know that it is cooked. So far, this little baby is 100% accurate 100% of the time. Thats a pretty impressive statistic. Admit it, you’re impressed. Ok, so human error made this mutant waffle. I didn’t trust the machine and I was shown to be a fool. Look at that. 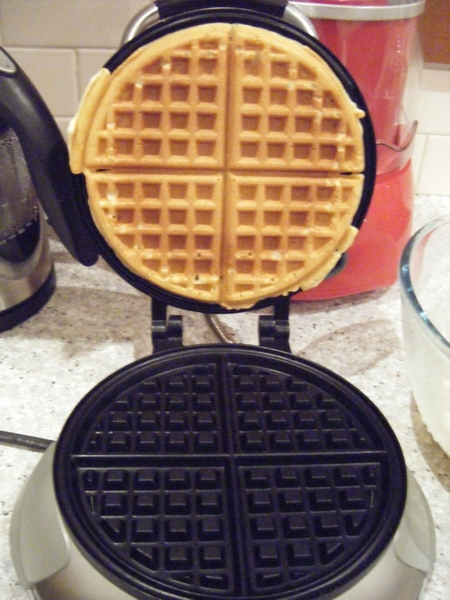 Gravity defying waffles. This machine is truly amazing. 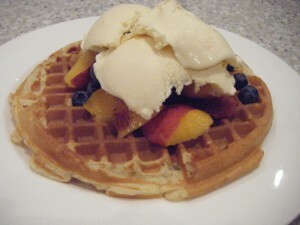 The mothership covered hers with fresh fruit and vanilla icecream. Me? Im more of a traditionalist. Vanilla icecream, maple syrup and icing sugar all the way baby! But don’t worry, my lovelies, I made one for you! What would be your ideal waffle topping? What would you like me to incorporate into this delicious mix? I would love to know! 1. There is no easier method than this. Put all ingredients in a bowl and beat until smooth! 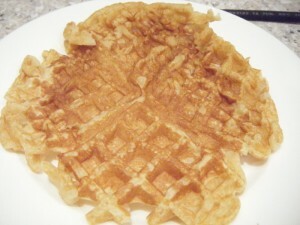 Leave it to stand for 5 mins which will be the time the waffle maker takes to heat up. Then follow the directions on your waffle maker. Enjoy!! In anticipation of Easter… Easter Egg Marshmallow Fudge! Yum, I love waffles. I’ve toyed with the idea of buying a waffle maker recently, but I just don’t think I can fit another appliance in our kitchen! Now I am ever so tempted. haha Julia I know exactly what you mean. But it was just something I had to get, and it’s well worth it! Jasmin – do it. Easier than pancakes. Need I say more? You know, I don’t think I’ve ever had waffles. Reminds me that I need to use our pofferjes maker, though! reminds me of the amazingly awesome belgian waffle cart in degraves st. used to enjoy fresh nutella waffles nearly every week back in the day. sigh. the max brenner waffles are good when they’re fresh. with melted choc and berries mmm. Kiki – Are pofferjes those dutch pancakes? If so, what are you waiting for? Make them! 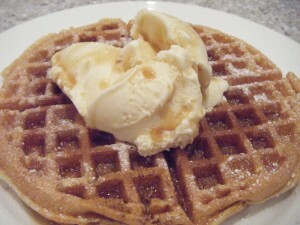 I love love love waffles. I haven’t had them in so long. 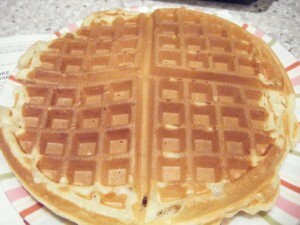 Time to get the waffle maker out!! !